GLOVERSVILLE — Despite gloomy, wintry weather, Saturday was a winning day for the Cabin Fever Chili and Brew Tasting fundraiser at the City National Common Building–and for the city’s firefighters. By 2 p.m., at the 1 to 4 p.m. fundraising event, some 100 people had turned out to enjoy and judge the nine chilis offered and wash them down with beer from two area micro-breweries. The more profound reason to show up was to benefit the Gloversville Downtown Business Improvement District’s parklet project. “We had no idea how many people were going to turn out,” said Jen Voorhees, immediate past president of BID and its special events chairman. Also happy were the city firefighters, who won $250 for their chili against eight other competitors. Ed Martelle, president of the firefighters’ union, said the firefighters worked as a group on the chili. Each firefighter tasted the mixture and offered suggestions for improvement. He said the group decided to get involved to help the BID fundraiser. She and her husband, Scott, own the City National Common Building and donated the space for the BID event. The money raised will be used to build a micro-park, called a parklet, on North Main Street, just off the intersection with Fulton Street. Bids are due April 10 to create the parklet out of a parking space with the aim of finishing it by mid-June–“a place to sit down and enjoy downtown,” said Hohenforst. The other chili competitors were the Gloversville police department, Mayor Dayton King, Gloversville BID, Gloversville Public Library, the Fulton County Center for Regional Growth, the Fulton County Coroner’s Office, the Mohawk Harvest Cooperative Market board of directors and city mayoral candidate Bill Rowback, himself a firefighter. Donating the beer were Green Wolf Brewing Co. of Middleburgh and Stump City Brewing of Gloversville. Schmoozing was part of Saturday’s event. “I’m Bob and we’re hungry,” said Bob Murphy of Mayfield. He and his wife, Debbie, were hanging at a table with Al Zlueckert of Bethpage, Long Island. “Tasting beer and chili is not a bad idea,” Bob said. “They did a great job,” said Zlueckert, who was impressed by the event. City fire chief Tom Groff was seated with his wife, Lisa, and daughter Kerrigan, all of Northville, and Jacob Campione of Gloversville. “We wanted to be here to promote the growth of the city and be represented here,” said Lisa Groff. Artist Debbie MacFarland provided the flowers, cactus and other decorations for the event. Name recognition will be a big part of the economic development agency’s agenda this year, the 2016 annual report reveals. 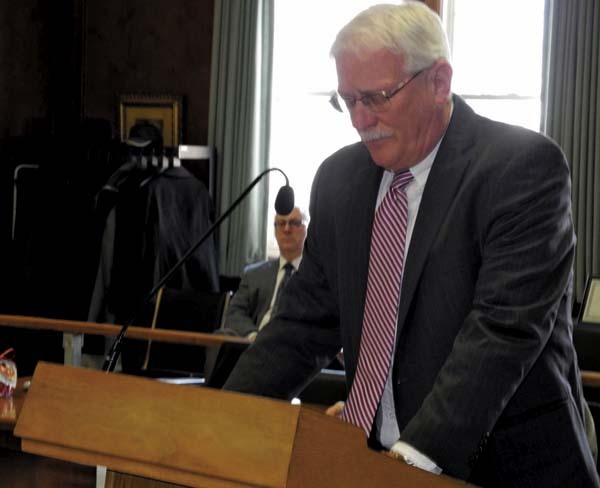 CRG President and CEO Ronald Peters highlighted the report for the county Board of Supervisors Monday afternoon at the County Office Building. “We work hard and consistently to market Fulton County,” Peters said. The “outlook” part of the report mentions the CRG’s 2016-17 membership drive will continue throughout the year “as the CRG strives to make its presence in the county known,” the report said. Peters said membership in the CRG doubled from 2015 to 2016. 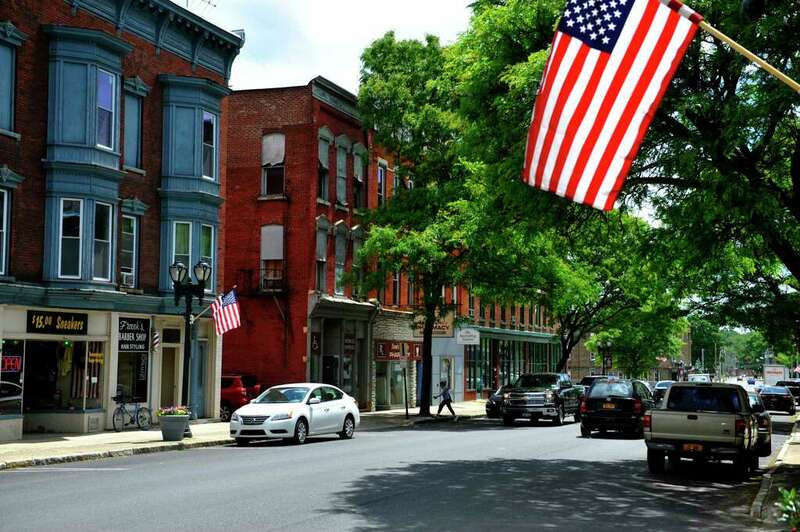 The report said several events are being planned by the CRG, such as a spring unveiling of the CRG’s plans for its 34 W. Fulton St., Gloversville, building. The building will be renamed “The Center,” as it will house a “premier business resource center for all Fulton County entrepreneurs,” the report states. Peters said the hope is to have an incubator center at the site operational within about 18 months. New Gloversville Downtown Development Specialist Jennifer Jennings will be busy in 2017 helping the CRG bring in business and planning events for the city in a pilot program. “If successful, CRG will assist other communities to establish a similar format,” the report said. The CRG also plans on co-hosting several events, including: a second financial symposium with the Mohawk Valley Economic Development District, a local Site Selector’s Guild event with Fulton County, a Tryon Technology Park event, and an interactive business event in the fall. Peters also highlighted 2016 activity the CRG was involved in, including what he called “very successful” outreach. “We met with over 60 Fulton County businesses one-on-one,” he said. Peters said the CRG participated in over 40 calls with the state last year, talking with potential businesses interested in New York state. He said the CRG participates with Empire State Development on national businesses. Other successful programs mentioned in 2016 were the Microenterprise Program, and successful grants announced by the CRG from state legislators and National Grid. He also mentioned a 1 1/2-day conference last April with the New York State Urban Council that was hosted by the CRG Gloversville. “It was a good event for Gloversville and good event for Fulton County,” Peters said. Peters said the CRG has a “pretty lean team” of himself, full-time Executive Assistant Becky Hatcher, and part-time Administrative Assistants Katherine Crankshaw and Diane Harnish. He said the Fulton County CRG is “open for business,” and will continually work on business expansions and creating new jobs utilizing a $400,000 annual agency budget.